Mount Carmel College of Nursing (MCCN) received Provisional Approval for its pre-licensure program for a period of one year from the Ohio Board of Nursing (OBN). More details about the OBN approval process can be found here. The OBN regulates all pre-licensure nursing education programs in Ohio. In February 2018, the OBN conducted its routine accreditation survey of MCCN's pre-licensure program. We received citations, which we responded to in March 2018. On May 16, 2018, at the OBN Board meeting, the OBN reviewed the findings of the site visit and appeal and granted Provisional Approval for the pre-licensure program for a period of one year. The Board grants Provisional Approval to a program for a specific time period, during which the program must demonstrate that it meets and maintains the OBN's requirements in order to regain Full Approval status. The Provisional Approval is a result of missing a deadline to notify the OBN of the interim academic dean at the College. The filing was completed three days late. It does not impact our ability to continue recruiting and educating nurses. New graduates also will be able to sit for the NCLEX. We are required to notify accrediting bodies, students and prospective students of the designation. Notification of those stakeholders is in process. Mount Carmel College of Nursing (MCCN) received Provisional Status approval in May 2018 from the Ohio Board of Nursing (OBN) for its pre-licensure program. Why did MCCN receive Provisional Status? The OBN, which regulates all pre-licensure nursing programs in Ohio, cited MCCN for issues primarily related to documentation/record-keeping, most notably the delay in timely OBN notification of change in MCCN administration that occurred in 2017. MCCN immediately rectified all issues to ensure this does not occur again. How long will Provisional Status last? Provisional Status will be in place for one year with MCCN providing regular updates to the OBN during this timeframe. 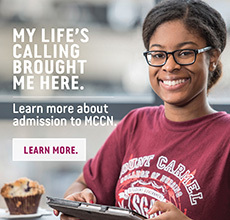 How does this status impact my program and my progression as a student at MCCN? Students will continue to receive the outstanding and seamless nursing education experience that Mount Carmel has provided for 115 years. MCCN students will continue to graduate from an accredited institution of higher education, sit for NCLEX exams and pursue their life’s calling with careers in nursing. 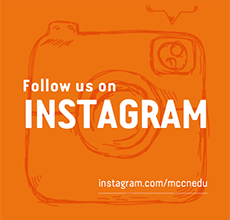 How will faculty, staff and students be updated on the Provisional Status progress and other MCCN issues and topics? Our key stakeholders will continue to be updated through a variety of communication tools including emails from MCCN leadership and the Carmel Rapper e-newsletter. If you have questions or need additional information about the pre-licensure program, please contact undergraduate dean, Dr. Scott Dolan, at sdolan@mccn.edu.